Spring! It's such a wonderful time to take advantage of fresh produce. And as I said in my post a few weeks back, I have been doing just that. 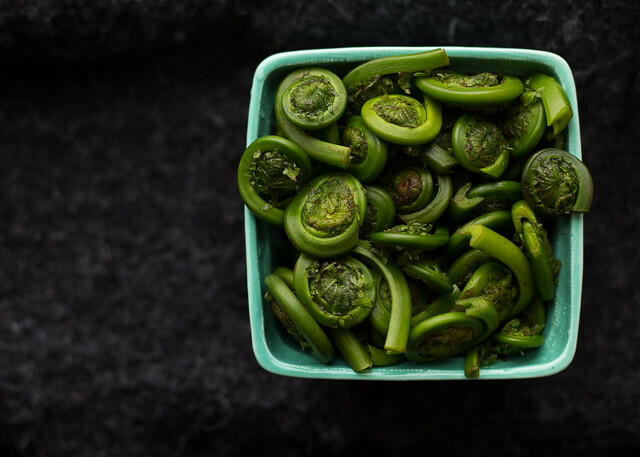 This recipe features some wonderful local produce from Farmigo, but you should be able to find these ingredients in the early spring at a farmer's market or anywhere else selling local produce on the East Coast (the west has its own western fiddlehead fern, known as a lady fern). 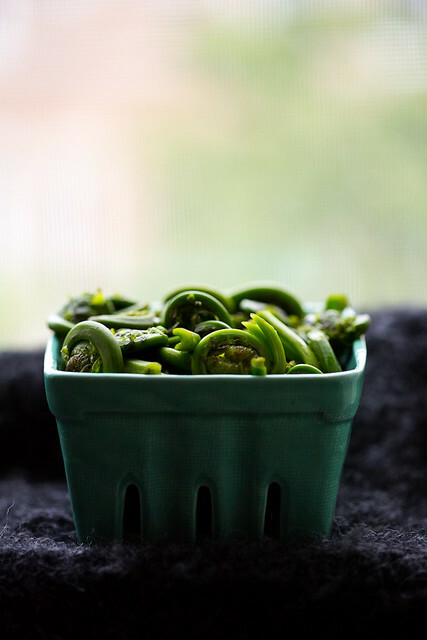 Despite being quite intrigued, I'd never tried fiddlehead ferns before making this recipe. Frankly, they certainly look a bit strange and I wasn't quite sure how I would feel about them! Turns out they're delicious...essentially the texture of a delicate asparagus but with a richer flavor (almost nutty) that needs to be tasted to be fully appreciated. 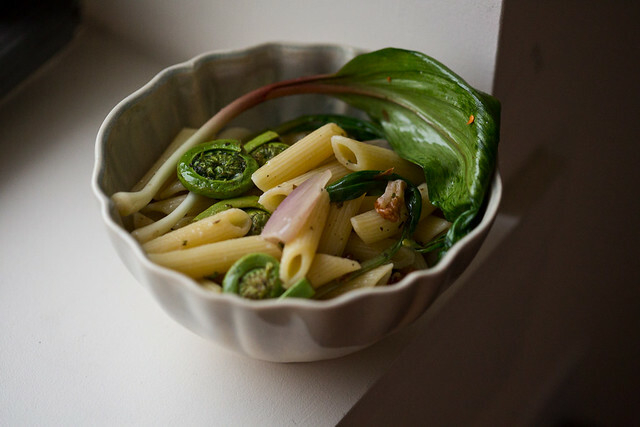 Since I had never cooked with fiddlehead ferns before, I did some reading. I checked out a few sites. GRACE Communications Foundation had a very thorough description of the history of their use, cultivation, characteristics, and how to prepare them. There are mixed opinions on the health effects of eating ferns (see link above for more info), so it is best to eat them in moderation. It is also recommended to boil or steam them for 10 minutes before preparing. I was worried this might effect the flavor, but it did not! They were excellent. The site I used gave excellent instructions for cleaning and boiling, which I've included in the recipe below. said they paired well with ramps, so I incorporated both into my recipe. They compliment each other beautifully. You essentially just sautée everything together, add your favorite pasta, a little splash of vinegar and lemon, and you're good to go! Clean your ferns. Fill a bowl with cold water, then gently add your fiddlehead ferns and swish them around. This should remove all of the brown, paper bits that can cling to them (which are just a part of the fern), and any dirt that may be hidden inside those tiny coils. Prepare a bowl of ice water. Bring two pots of lightly salted water to boil. Boil pasta until just al dente in one pot, then drain, reserving 1/4 cup of the pasta water and returning to the pot. 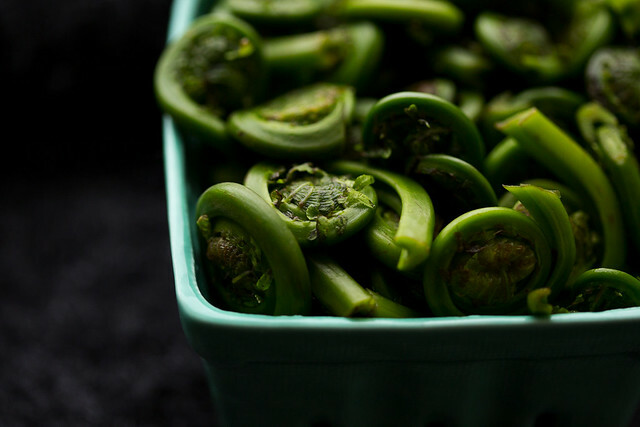 Boil fiddlehead ferns for 10 minutes in another. 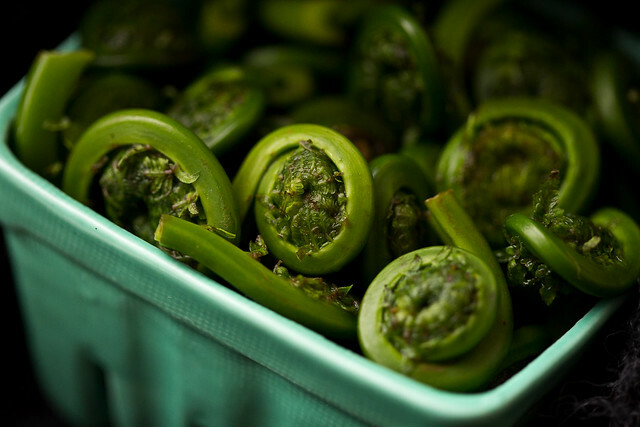 Transfer the fiddlehead ferns to the ice water after 10 minutes, to stop the cooking. Then drain well and pat thoroughly dry. Heat 1 tbsp olive oil in a large sauté pan over medium-high heat, adding shallots once warm. 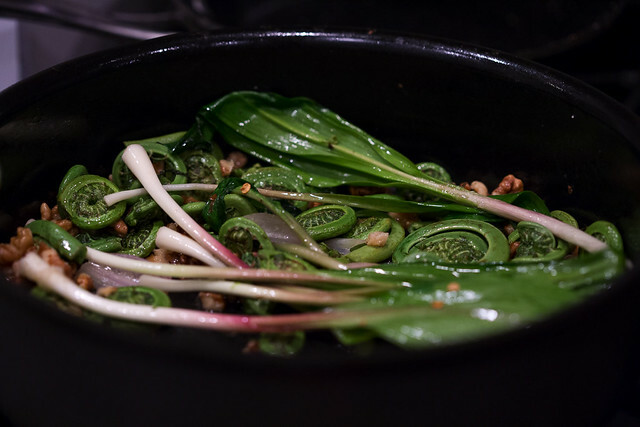 After a minute or so, when the shallots are fragrant and just beginning to soften, add in the fiddlehead ferns. Sautée for a minute and then add in your ramps, along with red pepper flakes and/or black pepper and a pinch of dried basil. Throw in a splash (about 1 tbsp) of white wine to steam your ramps. Add your walnuts, toss and remove from heat. Stir in 1 tbsp white vinegar, 2 tbsp olive oil, 1/2 tsp dried basil, and a pinch of salt and pepper to your pasta. Taste and adjust seasonings as desired. Add pasta to your sauté pan and return to medium heat, tossing the pasta with the vegetables to allow the flavors to really soak in for a minute or two. Turn off the heat, and add lemon juice (1-2 tbsp), to taste. So many parts of this recipe are interchangeable. No ramps? Try some spring onions, or just another shallot. No ferns? No problem there either. 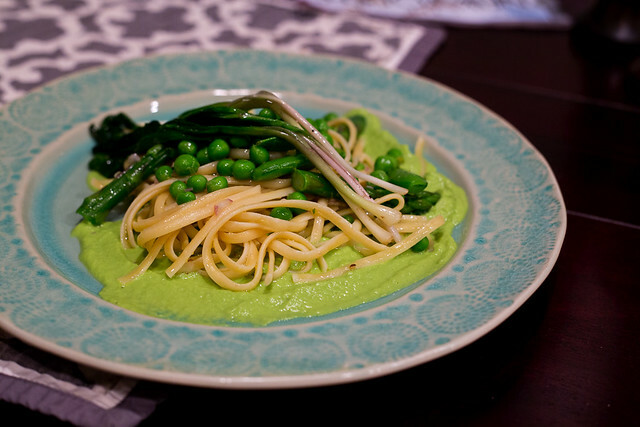 Ramps will pair great with this pasta, as will spring onions. The combinations are endless! *similarly, don't feel too tied to white wine vinegar, red wine, balsamic, or even apple cider will do in a pinch! Spring is here and there is a plethora of local fresh produce to be had. It makes me very, very happy. There's nothing better than throwing open the refrigerator and being overwhelmed with options for a flavor-filled, veggie-filled meal. 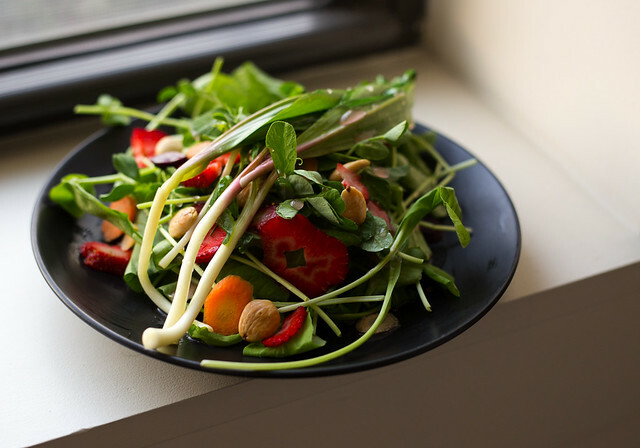 I made the salad above with local organic arugula, pea shoot micro-greens, sautéed wild ramps, rainbow carrots and perfectly juicy strawberries. Topped with some rosemary-fried marcona almonds and some raspberry vinaigrette--delicious!! 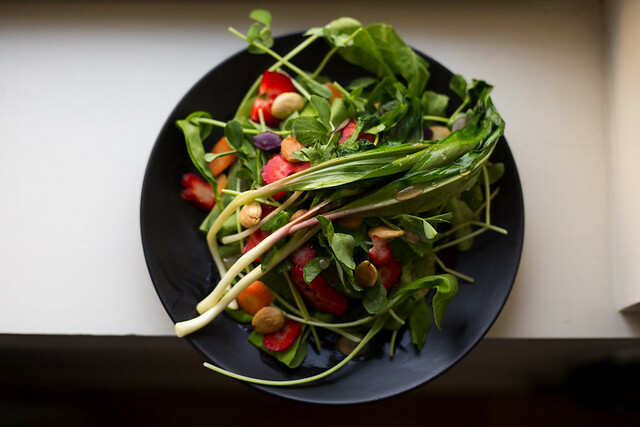 Before I dive into more great recipes I've had the pleasure of eating this spring--and if you're wondering where I got all of the delicious looking veggies for this salad--I want to tell you a bit about my new favorite source for delicious local produce. They're called Farmigo, and they're kind of like a cross between a CSA and a Farmer's Market. Basically, they have an online market where you can browse and purchase fresh, local produce, and a variety of other prepared foods, online. Their goal is to provide what they call "farm-to-neighborhood" access to food, to benefit farmers and consumers, without the supermarket middleman. They source their food from farmers and food makers that they believe have the best quality products and are located within 500 miles of their respective communities, though more often than not they source from much closer--as they say "the more local, the better!" They also do their best to source from small farmers, either generational family farms or newer, younger farmers, and they let you know every week what percentage of your purchase price is going back to the farmers (hint: it's a lot--which is a great thing!). As frequently as once a week, you can order your food to be picked up at a location of your choosing. They have a variety of locations in every city they are based in. In Brooklyn there are tons of pickup locations near our apartment. I, for instance, pick up on Monday evenings at a local ice cream shop near me. Some pickups are at schools, or other institutions, basically anywhere someone has volunteered to host. You can order your food whenever you feel like it, or skip as many weeks as you want, there are no fees or anything like that. Right now they're based in New York, New Jersey, Northern California and Seattle, and they're in the process of expanding. And no, they did not ask me to write this review. I've just been so thrilled with the quality of the food they offer that I want to spread the word! The thing I like the most of all is that you can read up about each of their vendors and their practices. This means you can select vendors who treat animals ethically, for instance, or who only use organic farming practices. I love how transparent they are. It allows you to make informed decisions when deciding where your food comes from, which is fantastic. What types of food options do they have for vegans, you ask? A whole bunch! They have a whole vegan category you can browse, which includes not just great produce, but cashew creams, breads, hummus, sauces, mousses, puddings, chips, chocolate, and some of my favorite veggie burgers in the world, as well as some other great fresh-frozen items. In the winter they had a delicious black bean and squash chili that was hearty and deeply flavorful. They've also got granolas and baked goods, and a true plethora of gluten-free options. Some of the vegan products are a bit pricey, but I like to treat myself to a vegan splurge every now and again. 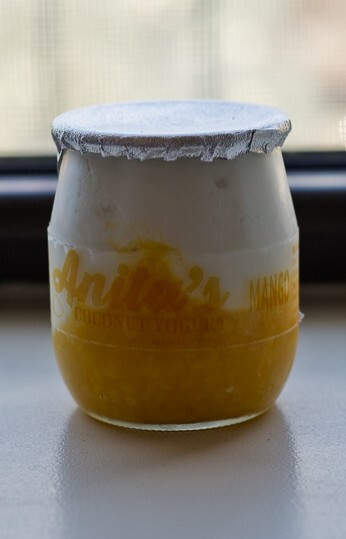 They have delicious coconut yogurt made by Anita's. It's creamy and rich, and a 16 oz tub will go a long way. 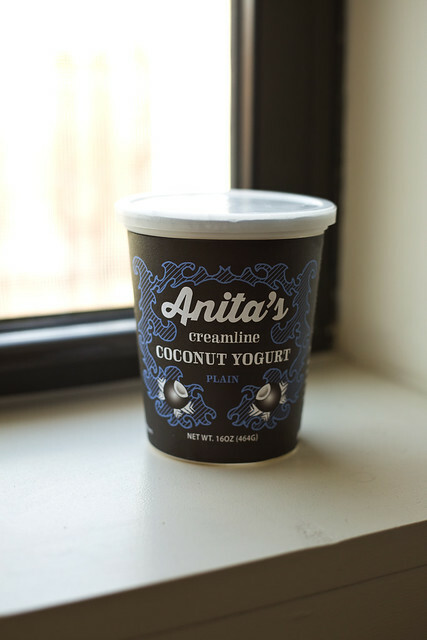 Its made from nothing but coconut milk, coconut water and live cultures, but its hands-down the best vegan yogurt I've ever had. The mango yogurt (below) is the best yogurt I've ever had. Period. 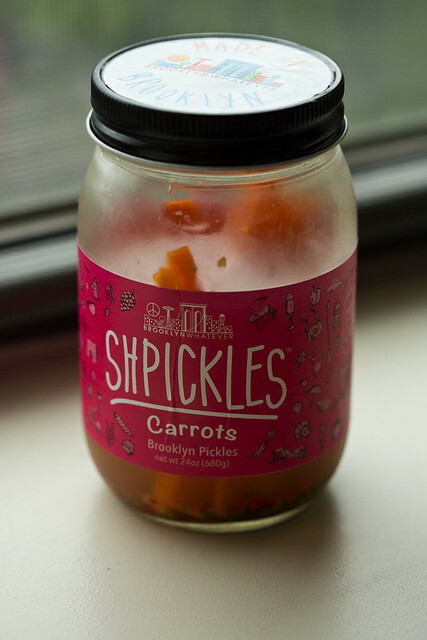 We've also recently discovered Brooklyn Whatever Shpickles--the carrots are delicious! (hence the fact that this jar was nearly empty when I took this picture) They also have pickled brussels sprouts and broccoli! 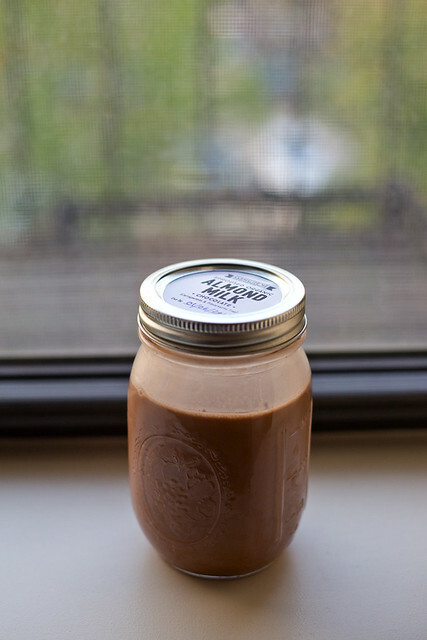 This jar will set you back just about $8, but one jar goes a long way! They also have the most amazing sprouted organic almond milk. This is probably the priciest for what it is, and I'm not one to normally even just "drink" almond milk all on its own (unless it's with a cupcake or a cookie!) --but let me tell you, I savor every sip of this stuff! Anywho...that's all for now...coming up I'll share some of my favorite recent spring recipes, featuring some delicious local produce. I'm back! It's been a while, I know. Lots going on. 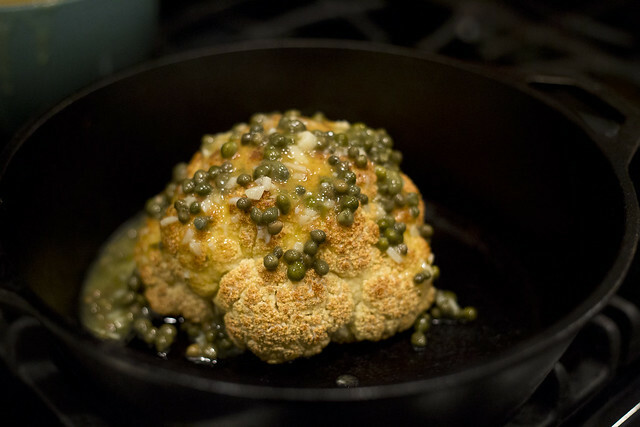 I promise I have a large backlog of photos and recipes to share with you all and plan to do so in the very near future. 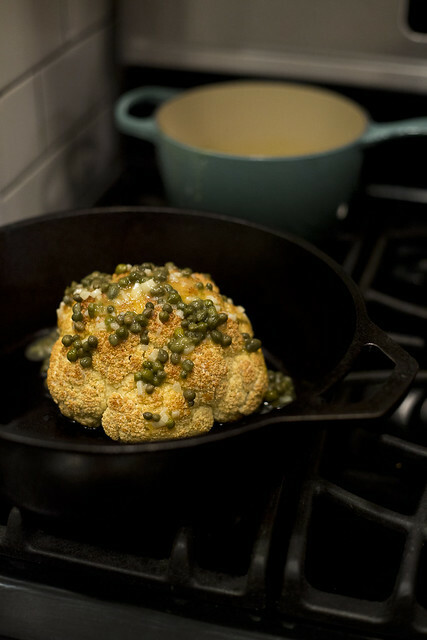 Looking forward to some fresh spring vegetable dishes! I've also been checking out some great apps and recipe books, and I've got one to talk about here, as it will be released imminently. If you haven't checked it out already, One Green Planet is a website with an admirable mission, self-described as "your online guide to making conscious choices that help people, animals and the planet." 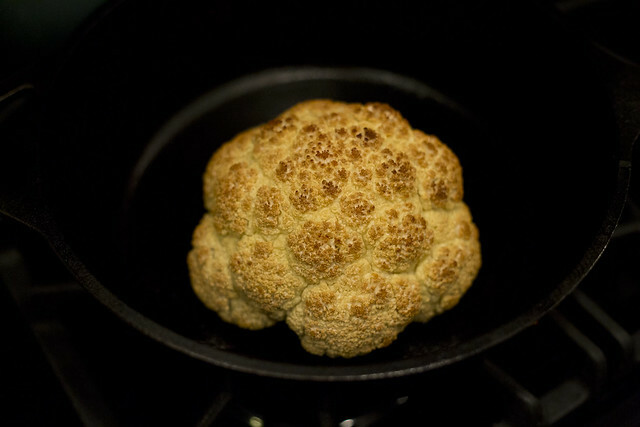 They approached me last year about featuring some of my recipes on the site, and I was more than happy to oblige. The One Green Planet site has a lot going on. They feature plenty of animal interest pieces, videos and other headlines, a lifestyle section with tips and ideas, and stories about caring for the planet. They also happen to have a huge section on food that is good for you, the planet and the environment (right on!). 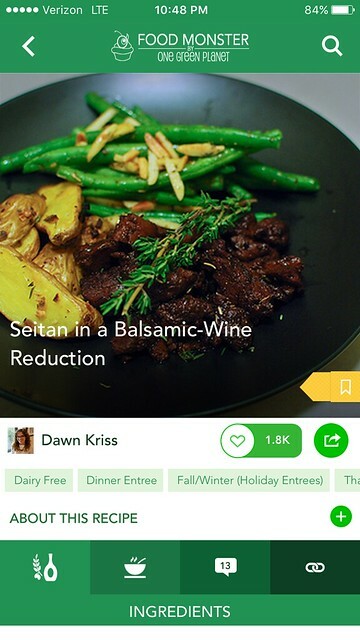 Their hand-picked selection of recipes is thoughtful and features some delicious dishes, so I was excited when they announced they would be releasing a new app! 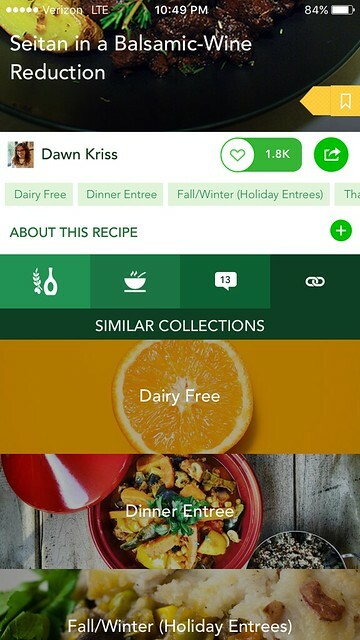 They've asked me to review their new app--it is called Food Monster and it features over 5000 vegan recipes, with approximately a dozen new recipes planned to be added each day. They have great categories like seasonal and holiday recipes, as well as some more unusual ones, like "umami" and "spiralized veggies"--over 100 different categories in total. 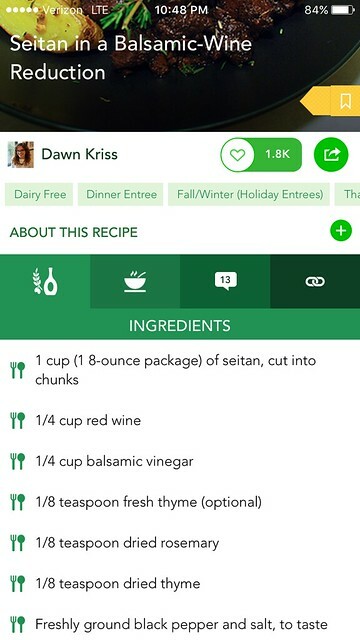 You can also search by ingredient or by your specific dietary restrictions (including gluten-free, raw, soy-free and many more). 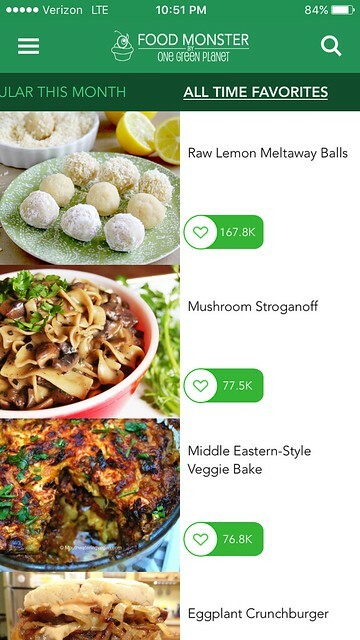 They have essentially categorized these recipes in about every way you can imagine, which is the wonderful thing about viewing your recipes on this kind of platform. The options are unlimited! It has many other features which I'd expect in an app like this, you can "love" recipes, see what's trending and also bookmark recipes to save them for future access. 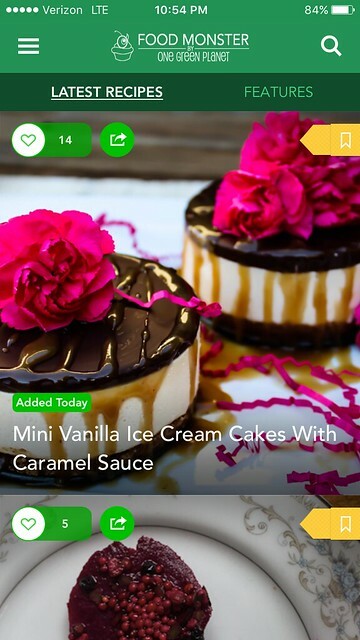 Seeing what's popular or similar to the recipe you have just viewed can be a great place to start when trying to find a quality meal. And you can easily share links with anyone you'd like using the arrow in the top of the screen (I especially like this feature!). The ingredients lists are easy to read and straightforward, and they really try to focus on simple, fast, delicious recipes. The directions are similarly well-presented. There are a few things I could do without--some of the recipes have "3-D photos" that kind of jump around very quickly on the screen. Although I don't mind a slow pan, I'd really much prefer to just have my food images in one place as I'm browsing through recipes. Occasionally the app can also be a little slow to load, but I am hopeful they will improve on this with time. What's the catch? A subscription is required to access the recipes. It is $1.99 a month which is pretty reasonable, so you can always try it out and see if it strikes your fancy! If you do like it, it's worth paying $19.99 for the one year subscription. The app will be released tomorrow, on Earth Day, but today they're offering special early access to all my readers, so here's a link to check it out!